Welcome to Joe Tipton, Inc. 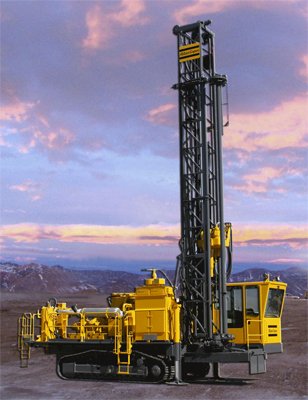 Introduced in 1979, over 5000 Filter/Clone® Systems are in operation throughout the world on over 70 different drill models. It is your solution for dust and chip collection from drill holes, along with deposit of cuttings for convenient disposal. Size 3600 Filter/Clone® dust collector mounted on DM–45 midrange rotary drill manufactured by Atlas–Copco Drilling Solutions, LLC. 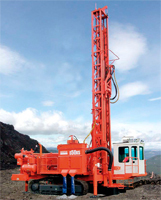 Virtually any rock or rotary drill on the market can have the benefits of dust control with Filter/Clone®. 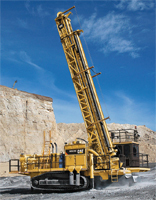 Contact Joe Tipton, Inc. or a Dealer in your area to add a Filter/Clone® Dust Collector to your drill(s). Size 4500 Filter/Clone® dust collector mounted on D50KS rotary drill manufactured by Sandvik Mining and Construction. Size 4500 Filter/Clone® dust collector mounted on MD6290 rotary drill manufactured by Caterpillar Global Mining, LLC.